Harvest Hill Press is a publisher of children's books. Books published by Harvest Hill Press include Hey Kids! You're Cookin' Now! A Global Awareness Cooking Adventure and Let's Stir It Up! 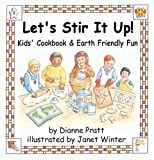 Kids' Cookbook & Earth Friendly Fun.